Septic shock and organ failure. 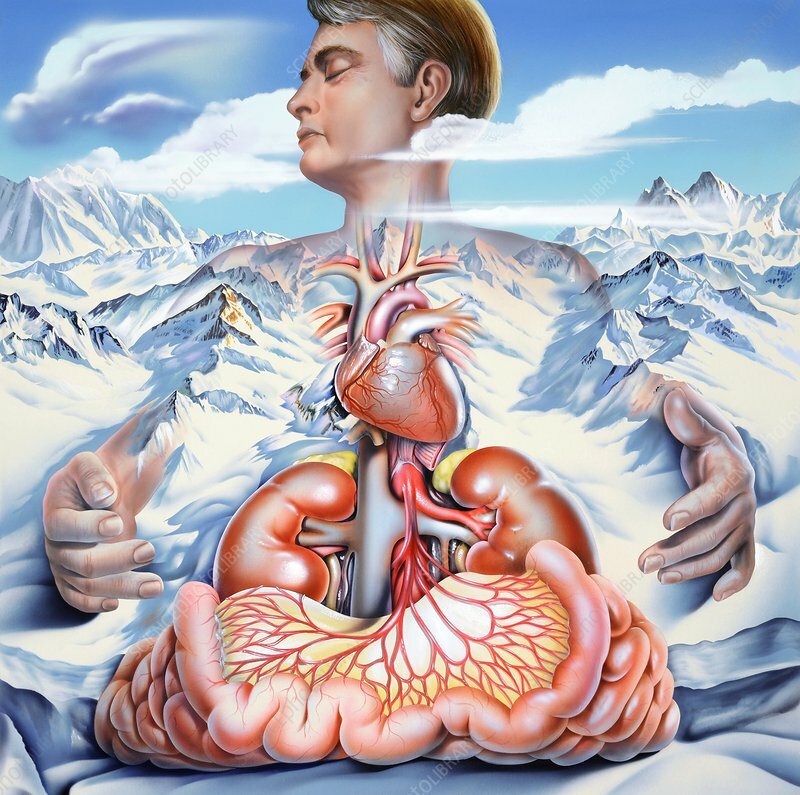 Conceptual artwork of icy mountains surrounding a man and his organs (heart, kidneys, intestines) in a case of septic shock and organ failure. Septic shock is a physiological condition that occurs due to an overwhelming infection, especially septicaemia (blood poisoning). It can lead to a fever and a drop in blood pressure, but can also lead to hypothermia, a dangerous drop in body temperature. Septic shock can be fatal.